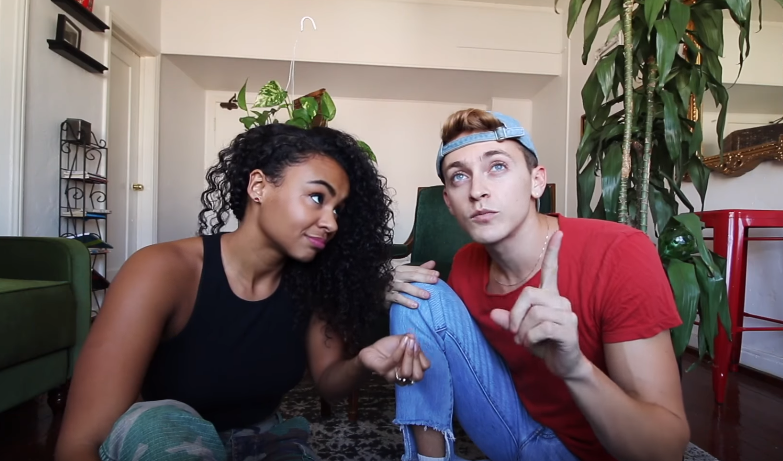 Travel-savvy millennials Damon Dominique and Jo Franco share a love of language that makes their vlog channel Damon And Jo accessible to viewers all around the world. And obviously, people from all around the world are watching, because the BFF pair recently became YouTube Millionaires. The pair recently released their first book, #Woke; were selected to join the judges panel for Sony’s sustainability-themed Picture This competition; and have partnered with Facebook Watch for a show called Damn Millennials. Damon Dominique: I remember saying I would be happy once we hit 8,000 subscribers. I don’t know why 8,000 subscribers was the number, but to me, that just represented a whole lot of people. Reaching 1 million subscribers is obviously flattering, but it’s also an empowering milestone too – to know that, in a world that has seemingly become so divisive (in the media), there are still plenty of people out there who just want to get out, explore the world, and learn something. Jo Franco: Honestly, I don’t think the human brain is capable of comprehending that one MILLION people cared enough to click subscribe. Like, saying the number is one thing, but then thinking about all of the global lives we’re touching, who know who we are, and dedicate time every week to watch our shenanigans is mind-blowing. It feels right, it feels good, and I couldn’t be more thankful that we’re out of the “spam all of our friends on facebook” stage like when we first started. DD & JF: We were tired of getting “no’s” from television executives who told us travel for young people would never sell. How would we possibly make a career when all the money was in luxury travel? They offered us other shows about our personal lives, which we declined, walked away, and started uploading our vision to YouTube. DD: I think it’s generally refreshing 1) to see two people who look completely different get along so well and 2) to watch people who were born with a “let’s do it” attitude go do things. Jo and I are crazy, with or without each other, and some of our most popular videos are ones where we’re not physically together, but in two separate places solo traveling. The people who watch our videos are looking for a good laugh without petty drama or predictable clickbait; life is tough enough – people just want to feel good. I mean, that’s what I’m looking for. JF: We’re both interesting people individually, but together, we make a duo the world really hasn’t seen before. We joke in four languages, and our senses of humor both on and off camera make us down-to-earth people that can look at the bright side of life. We spread this positivity without even trying because we both know there’s more good, funny, and memorable out there than bad. TF: Can you talk about how you two met? What was that “ah-ha” moment when you realized you were going to be BFFs? DD: I think the main reason Jo and I bonded was because we were always pretty receptive to trying new things. Camp overnight for SNL tickets? Sure, why not? Book a Chinatown bus to Baltimore? Sure, why not? Learn a completely different language? Sure, why not? I think that’s partially why our YouTube channel succeeded; we were both open to new ideas, before simply shutting them down. JF: The minute Damon responded (and was the only person who responded) to my nerdy comment on the incoming freshman Facebook group about me being excited to take the French placement exam, I knew we’d be friends. I had never met someone as excited about foreign languages as me, so it was a first. We’ve been best friends, non-romantic husband and wife, and basically siblings ever since. TF: What’s your favorite place you’ve visited? What place would you most encourage your followers to travel to? DD: Paris, hands down. It’s both exactly what you’d expect, and not at all what you’d expect. I love the surface-level Paris that you see just walking down the street – the cafés, croissants, and cobblestone streets – but I also love the underground raves in abandoned train stations and how much attention the French give to the arts and intellect. Tokyo comes in close second, for similar reasons. JF: Just when I think I have my favorite places, I spend more time somewhere new and get a new favorite place. If you need names, right now I’m really loving Greece, and I’ll always go back to Italy and France. I also love Cuba, and Thailand – they all have history, poverty, culture, and soul worth experiencing and learning from. JF: Getting to be my own boss. My goal was always to have a business, being on camera just came into the mix randomly when Damon wanted to make videos of us studying abroad in Paris. It dawned on me, I can have a creative business. YouTube is exactly that. 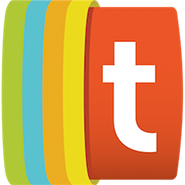 TF: You post videos in multiple languages, including English, Portuguese, French, and occasionally Spanish, German, and Italian. Why is it important to you that your channel be multilingual and accessible to people from around the world? DD: Being primarily a travel and comedy channel, we’ve learned around the world that some of the funniest jokes aren’t even in English. Learning foreign languages gives you the opportunity to play around with humor in terms of intonation, puns, and cultural references. In addition to that, I think it’s extremely important to recognize that English content isn’t the only popular content on YouTube! JF: We’ve always wanted to find a place where content was funny, energetic, and in multiple languages. Like one place with as many languages as possible talking about things we liked. We never found that channel, so we made it. It’s also selfishly amazing practice for our languages – Damon learned Portuguese on our channel with me, and I only still speak French because we make videos in French all the time. Now I’m in Greece learning Greek and Damon’s in Vienna learning German so we can expand our brains, and the audience. DD & JF: We’re excited to announce the relaunch of Shut Up and Go on September 4th (Beyoncé’s bday), a digital platform for millennial travelers. We have contributors from all around the world submitting articles ranging from homestay nightmares and tips, to juicy romances abroad. The site is completely social, we host flight deals every Travel Tuesday, and share relatable and funny content across Instagram, Twitter, and Facebook. It’s exciting to build a little army of people who continue to inspire everyone to Shut Up and Go! You can add yourself to the ranks of Dominique and Franco’s more-than-a-million YouTube subscribers at their channel YouTube.com/DamonAndJo.